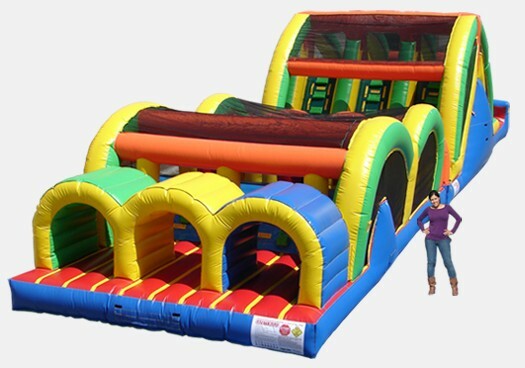 The new 3 Lane Mega Thrill Obstacle Course is the perfect commercial grade inflatable for your rental business, church, or other institution! Our new 3 Lane Mega Thrill Commercial Obstacle Course is brand new for 2010! With the industry’s only 3 Lane Inflatable Obstacle Course, up to 3 people can race simultaneously. This gives you the ability to service your customers faster and more efficiently, reduce wait times, and increase your profits.